Dr. Vivek Murthy, then-Surgeon General of the United States, challenged leaders at the 2015 Project Play Summit to grow access to sport for youth across the nation—and take the Project Play framework for action into communities as a tool to rally stakeholders. East Harlem is the second model community initiative organized by the Aspen Institute's Sports & Society program, after Project Play: Baltimore. It is an effort in partnership with local leaders and is supported by the Mount Sinai Health System, Harris Family Charitable Foundation, Laurie M. Tisch Illumination Fund. Project Play: Harlem is a multi-year initiative designed to help stakeholders increase access to and participation in quality sport opportunities available to local youth. Based on the simple idea that no single organization can do this alone, The Aspen Institute, with the support of Harris Family Charitable Foundation, Laurie M. Tisch Illumination Fund and Mount Sinai Health System will mobilize civic, youth and sport groups around growing quality youth sport options in East Harlem, our specific area of focus. Only through teamwork can leaders and caregivers provide every child an opportunity to play. Project Play: Harlem is guided by the eight strategies for the eight sectors that touch the lives of children, as identified in the Aspen Institute report, Sport for All, Play for Life: A Playbook to Get Every Kid in the Game. 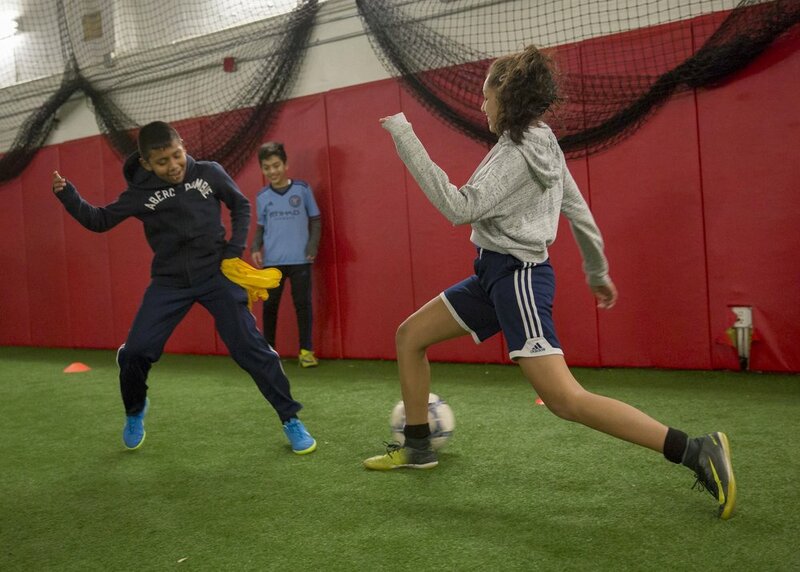 Since 2015, more than 100 organizations around the country — from professional leagues to grassroots providers — have used the report to introduce or shape youth programs. East Harlem is a historic community, rooted in a culture of strong collaboration and action, ranging from innovation in youth development through sports and family engagement to confronting public health barriers associated with dense, urban areas. Now, we aim to empower local stakeholders to write the area’s next vibrant chapter, through a unique initiative that will create new opportunities for youth, growing access to and participation in sport. This effort will span three miles from 96th to 142nd Street, and from 5th Avenue to the East and Harlem River. Project Play: Harlem will work to understand and evaluate the current state of play in East Harlem through an environmental analysis of school and recreation efforts while convening an advisory group of community leaders to guide strategy on building healthy kids and communities through sport. To learn more, check out our national Project Play initiative, our framework and stay updated on the progress of our first model community initiative in Baltimore.